Do You Really Need An Antivirus/Security App On Your Android Device? In a recent post on avast! Mobile Security BETA app, we promised that we’ll be discussing the growing perception among smartphone enthusiasts that Android is an insecure mobile operating system and that it is prone to malware, just like Windows is on the desktop. This perception is, for the most part, a product of the hype created by certain security solution-providing companies and the blogosphere itself. To start with, yes, to be very frank, Android does have more malware issues than any other smartphone operating system. iOS and Windows Phone 7 generally have no security issues because of the fact that they are a. closed systems b. quick to push updates to users when security issues are discovered. Android, on the other hand, is a. an open system b. is very slow to send updates to users. The question is, then, should you be worried about mobile malware like it you’re on Windows XP and it is 2005? The answer, this time, is a very firm no. Companies like Juniper and McAfee have published reports with hype-creating titles like, “Nearly all mobile malware created in Q3 2011 targeted Android” and “Android malware increased by 472%* since July 2011”. These reports wrongly create this perception among people that Android is prone to malware and that users are always in danger. 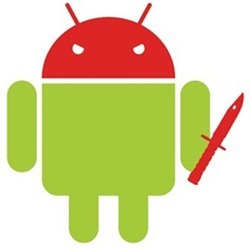 The fact of the matter is, you, the average Android user, are safe from mobile malware. Malware on Android does not spread like it does on desktop computers because there really isn’t a simple method for them to spread. These viruses, trojans and rootkits that you hear of all the time only reach those users who do things like downloading APKs from untrusted sources and downloading bogus apps. Don’t Download Apps/APKs from untrusted sources: File-sharing websites like 4Shared and RapidShare are not recommended places for downloading APKs for apps. The person who uploads the APK can actually modify it beforehand to extract information from your device after your install it. Stick to trusted sources like Android Market, Amazon Appstore, GetJar and blogs like Redmond Pie, Addictive Tips, Android Police etc. Read Required Permissions Carefully Before Installing Apps: Apps on iOS do not get privileged access to system resources outside of the ones carefully assigned by Apple. Apps on Android, on the other hand, have deeper access to your device and you must be aware of what permissions they require. These can be read after tapping Download and before tapping Accept & Download in Android Market. If you’re downloading a live wallpaper app and it requires permissions for location via GPS, then you should stay away from it. That’s it, really. You and only you are the best antimalware, mobile security solution for your Android device. 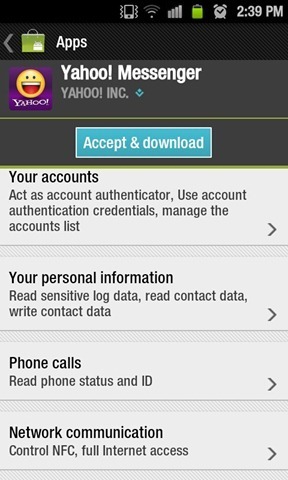 Apps like Lookout Mobile Security and avast! Mobile Security only add an extra layer of security which, to be honest, you don’t need. To sum it up, yes, mobile malware is slowly but surely on the rise, but, no, you don’t need an antivirus on your Android device, provided you follow basic tips to keep yourself safe. Still, those of you who believe antimalware apps are a must, can check out our list of Top Antivirus Apps for Android or our the latest avast! Mobile Security app. These kinds of apps exist for those who think they need them. *Why would you even note increase in new forms of malware in %? If there were only one piece of malware for Android before, and in the months between July 2011 and November 2011, 3.72 more samples were discovered, then it’s a %472 increase in mobile malware but with only ~4 new samples. It’s all used to create hype so that people pay for security on Android devices, which they don’t need to.